I just have to note the irony of this post- I couldn't blog the past couple of weeks because my disk on my laptop was full. I'm writing about an awesome analog camera shop but my digital photos were taking up space...Well, I thought it was funny. UPDATE! Shutter + Light has moved! They are still located in Santa Ana, but the new address is updated below. Shutter + Light is a camera store located in Santa Ana, close to my favorite shops, Mothers Market and Harveys. When I head down there, I like to pop in Todd's camera store and say hello, and see what new stuff they carry. 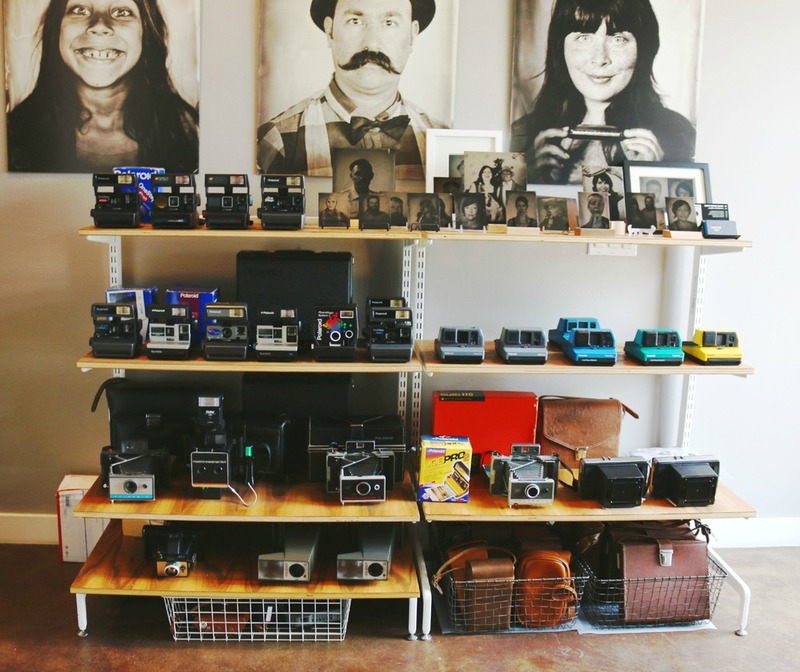 They are the only ones in Orange County that carry Impossible Film, offer tintypes, and will offer to test your Polaroid camera to make sure it works before buying film. How awesome is that? I can't keep track of the amount of time and money wasted in thrift stores and ebay searching for the perfect vintage camera only to discover it doesn't work. This is one of the perks Todd offers in his shop. I've actually just found out about tintypes through S+L, and I was curious about what they were. I was there for the process and it was awesome to watch. I saw how careful the process was, sometimes it's hit or miss, but just like film, that's the exciting part of it and I can see why Todd does them. "A tintype is a handmade photographic process that was invented in the late 1800’s. It is a chemical based process that allows you to put an image on a piece of tin (we use aluminum). So the image you see on the plate is silver. Since it is a chemical based process each image is unique and one of a kind. If you have the same subject and controlled lighting the image will still look a little different because of the way the chemicals were poured on the plate. It’s a fascinating process...When I say beautiful images I mean that in the way they are unique and one of a kind. Like a lot of hand made products they have their flaws and special qualities. They are not perfect and to me that is what makes them beautiful." You can see more of Todd's tintypes and book your appointment here. The prices range from $60 to $220. 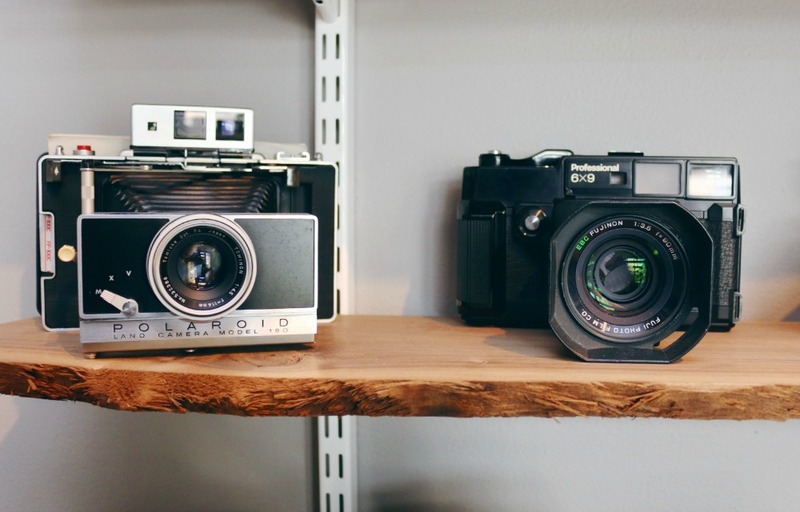 Visit the store for their vintage cameras, too. I was in awe of the vintage Diana cameras they had. It's a small shop but they have so much! If you're going to Disneyland and are short on film, this is the place to go. Shutter + Light on Facebook, Twitter, and Instagram.